Welcome to another weekly blockchain news roundup from around the world. 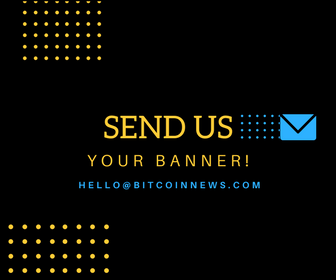 Here we present to you all the latest Bitcoin news, continent by continent and country by country. Next up is North America. CNBC’s Brian Kelly Sees Bitcoin ETF Approval by 2019: Mainstream news channel CNBC’s popular program Fast Money host Brian Kelly has predicted that Bitcoin will jump considerably in the future following ETF approval by the Securities and Exchange Commission (SEC). However, he doesn’t see that happening till August 2019. Currently, the SEC has ruled against ETFs for the near future but possible reviews are likely expected in the future and further legal tussles which will result in slow approval overall. SEC Rejects Nine Bitcoin ETFs and Stays Decision on Five Others: The much-awaited Securities and Exchange Commission (SEC) decision mostly ended in a negative note as nine Bitcoin ETFs were rejected by the commission and five others are now pending further review. The nine ETFs rejected included five from Direxion, two from Proshares and two from GraniteShares. But, as a silver lining, the SEC stayed its decision on five ETFs fuelling hopes that the commission might be willing to approve it after greater scrutiny. $800,000 Announced for Scientific Blockchain Project: The US government announced a healthy $818,433 grant for a new blockchain project called Open Science Chain (OSC). The OSC is a new platform that allows researchers to verify the data of scientific experiments. The project is being led by Subhashini Sivagnanam, a software architect and researcher currently working at the San Diego Supercomputing Center. The funds were awarded by the National Science Foundation (NSF) to develop the project. NSF is granting a sizeable number of funds to blockchain development programs this year. US Border Agents Try Blockchain for Free Trade Compliance: US Customs and Border Protection (CBP) has announced that they are testing a new blockchain program that will help enforce the North American Free Trade Agreement (NAFTA) and Central American Free Trade Agreement. The new decentralized program will be used to verify the original source of the products entering the United States through its borders and also help in authenticating them. Universities Weigh in on Blockchain Applications: US universities are considering blockchain technology for a broad range of applications because of its tremendous potential. The applications under consideration will help government, private companies, and NGOs in achieving their objectives efficiently. Some of the academics speaking in favor of widespread blockchain adoption include Robert Dahlstrom — a Professor of Marketing at Miami University, David Noble — the Director of Innovation and Entrepreneurship at UConn, and Lawrence Trautman — a Professor at Western Carolina University. US Congressman Invites Crypto CEOs to Washington to Discuss Future Regulation: US congressman from Ohio Warren Davidson has invited top cryptocurrency representatives from the industry to visit Washington for further discussions on ICO and crypto legislation. More than 32 CEOs and founders were contacted by the congressman’s office to schedule a meeting in the coming months. Davidson sits on the House Committee for Financial Services and his role could play a crucial role in furthering the cryptocurrency scene in the country. Court Orders Hacker to Pay Bail in Bitcoin: In a new precedent, a US magistrate Judge Corley has ordered an accused embezzler Martin Marsich to pay an equivalent of $750,000 in bitcoin as bail. The new precedent was set after the accused was presented before the court for hacking US video games company Electronic Arts’ (EA) servers and selling video games illegally online through black market websites. He is accused of hacking more than 25,000 accounts. Bank of Mexico May Set up Cryptocurrency Payment Infrastructure: Mexican state bank, Bank of Mexico has announced that it is considering developing a cryptocurrency payment infrastructure in the near future. The system will be used to process electronic payments quickly and effectively. The bank announced the landmark decision during a public consultation process that was aimed at researching ways to use fintech innovations for its benefit.